LakewoodAlive’s Allison Urbanek will present during “Knowing Your Home: How to Contract a Repair” on April 26. 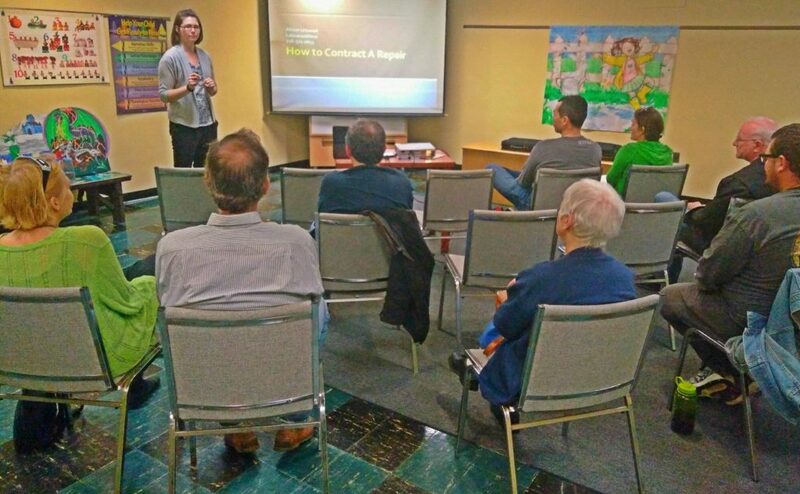 LakewoodAlive will host Knowing Your Home: How to Contract a Repair on Thursday, April 26, from 7 to 8:30 p.m. at Lakewood Public Library (15425 Detroit Avenue in Downtown Lakewood). The fifth workshop of 2018 for this popular home maintenance educational series will focus on the process of working with a home repair/improvement contractor. Led by Allison Urbanek, LakewoodAlive’s Housing Outreach Director, this free workshop will cover the basics of understanding your repair, including navigating the process of obtaining estimates, scheduling the job and ensuring the project is completed properly in a timely manner.